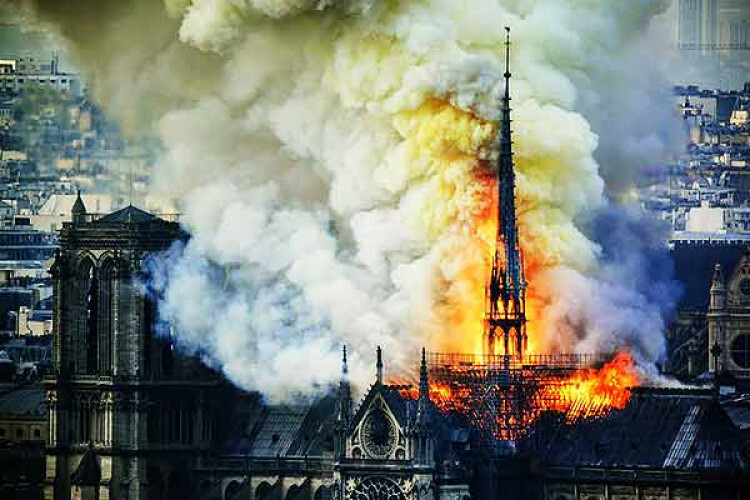 A fire engulfed the Notre-Dame cathedral in Paris, soon after news spread & streaming live broadcast began on YouTube. Youtube came up with text box feature below the video last year to combat the spread of conspiracy theories. But several Notre-Dame fire video had an odd text-'A snippet from encyclopedia Britannica' about 9/11 attacks. Youtube said that panels are triggered by algorithmically & system made the wrong call.